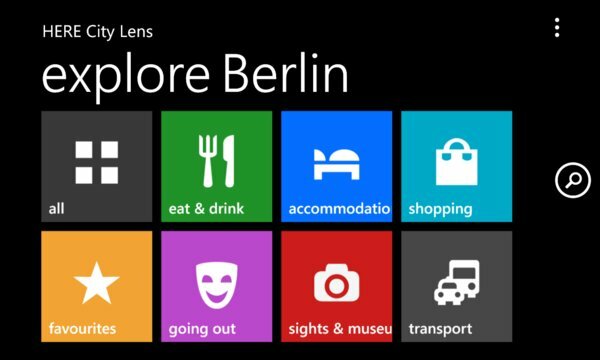 HERE City Lens is no longer available on Windows 10. If you’re already using or you plan to upgrade your mobile device to Windows 10, we recommend using the Windows Maps app that comes installed with Windows 10. 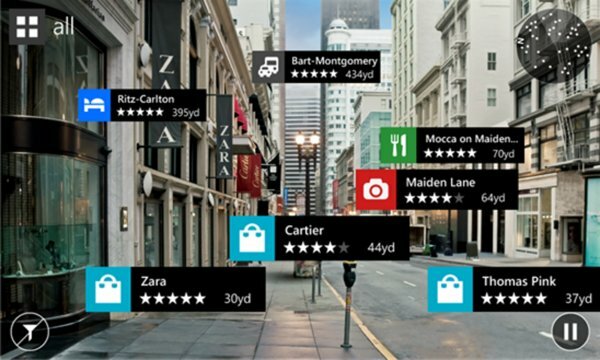 HERE City Lens is an entirely new way of seeing what's around you. Simply hold up your phone as though taking a photo, and HERE City Lens shows you the best shops, restaurants and places of interest right on your screen. Tap a place to call ahead or get more info, such as opening hours, reviews and directions. You can even save a place for later or share it with friends. No more wandering around looking for a nice café. No more looking for street signs. With HERE City Lens, you see what's around you from your point of view. Finding great places has never felt easier or more natural.